Simple Joys by Lannette Cornell Bloom teaches us how to cherish even the simplest moments in life. A few weeks ago I had the pleasure of meeting with Doug Williams, a wonderful person and writer for the San Diego Union Tribune. We chatted for some time about my book, Memories in Dragonflies, Simple Lessons For Mindful Dying. While talking with Doug, I immediately knew he understood my book and what I am trying to have my readers take away from my experience. Death and dying is an inevitable experience that we all, unfortunately, have to go through it at some point in our lives. Let’s choose to look at the positive times and remember the beautiful moments we have with our family and friends. Just days before her mother died, Lannette Cornell Bloom heard her mom ring the bell. At that point, her mother couldn’t speak. So Bloom, who had quit work as a nurse to take care of her as she slowly slipped away from pulmonary fibrosis, gave her a small bell. It sat on a table next to the bed she could no longer leave. When she needed something – water, a tissue — she rang and her daughter came. This time, when Bloom hustled from across the house, she found her mom smiling at her. She hadn’t needed a thing. She just wanted to see her daughter. I would love to hear about your experiences and thoughts on the article in the comments below. You can also feel free to reach out to me personally through my contact page. I had a wonderful time chatting with Spiritual Biz Magazine about my book, Memories in Dragonflies, Simple Lessons For Mindful Dying. I’ve included a little excerpt from the feature below and would love to hear your thoughts in the comments of this post! KIMBERLY: Let’s talk a bit about the book you have written, “Memories in Dragonflies, Simple Lessons for Mindful Dying”. Our audience probably has an idea already of what the book is about and who it is for. But what is the most important thing you want them to know before purchasing and opening your book? 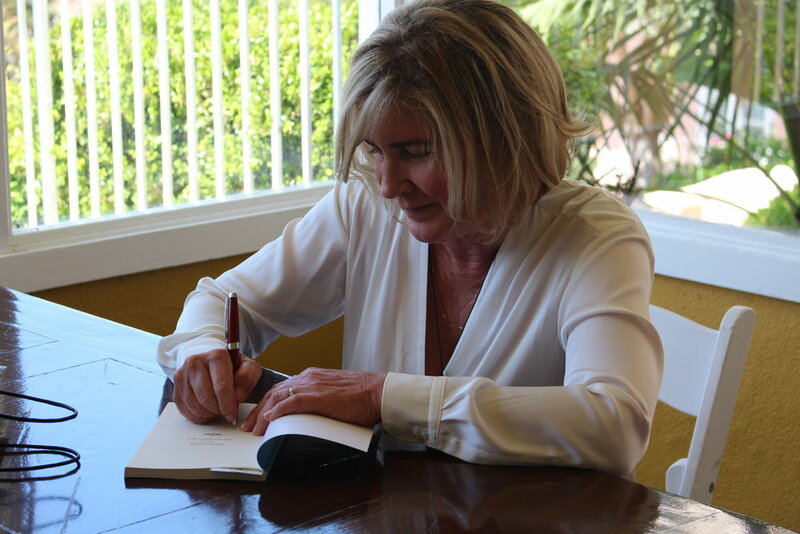 LANNETTE: I wrote this book, first and foremost, to inspire others in their lives and care-taking journeys to shift their perspective of death and dying. Losing a loved one is one of life’s greatest hardships, and yet the experience does not have to be wholly negative. I am proof that there is joy to be found within the struggle. My hope is that, in reading my book, others will begin to uncover their own joys to cherish. I am beyond grateful for everyone who came out to celebrate the launch of my book, Memories in Dragonflies, Simple Lessons For Mindful Dying. I am overwhelmed with joy by the amount of support and positive response I have received from not only friends and family but also from my community and beyond. 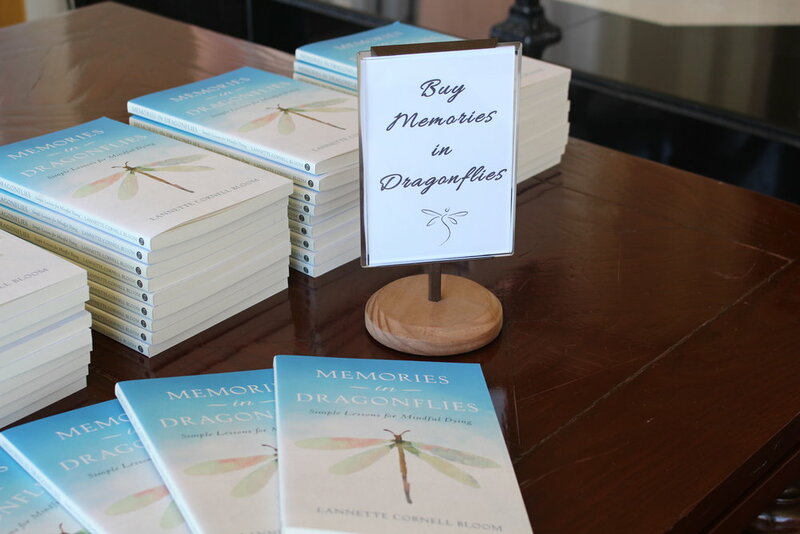 It is my wish that when reading Memories in Dragonflies you will be inspired to slow down and enjoy the special moments in life and appreciate each day. I want us all to start talking about death and dying in a positive light and remember that joy is simple. 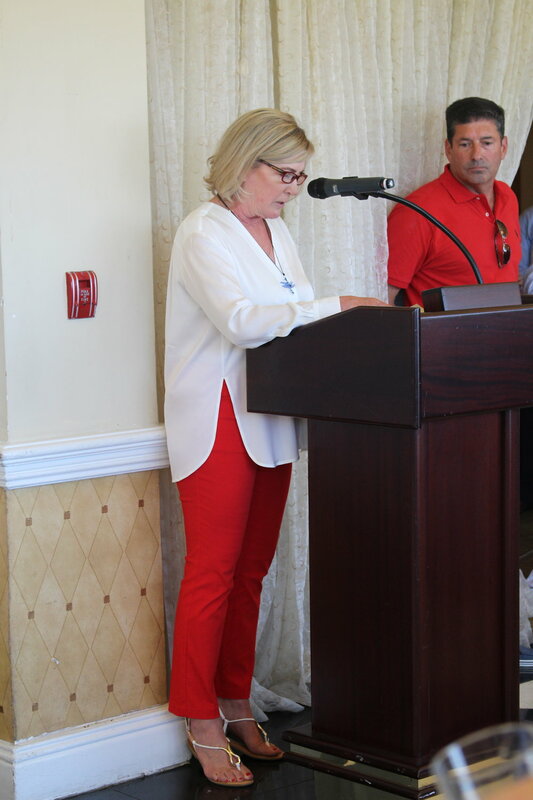 Here are a few highlights from the event. I hope you enjoy! Me and my sweet cousin, Annika. Reading a chapter from my book. Where I signed and signed again. I recently had the joy of chatting with Ashley Mackin-Solomon of the La Jolla Light and wanted to share a little clip from the article she wrote. 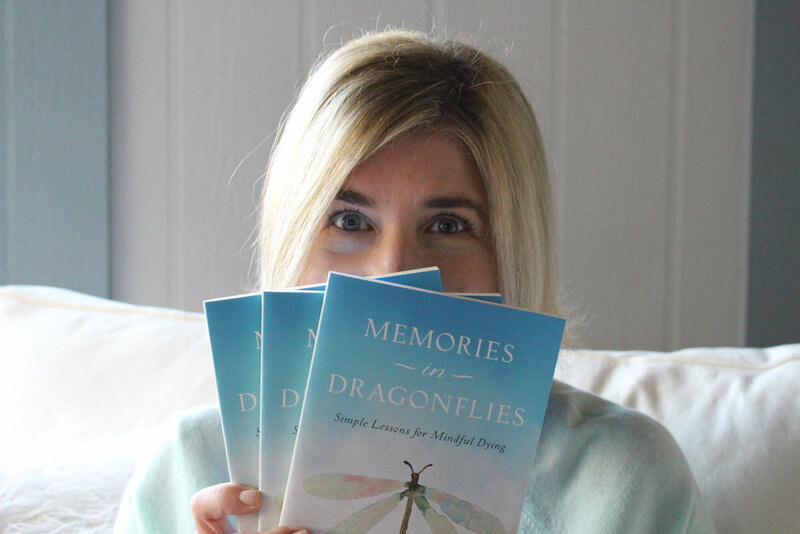 Today is the day that my memoir, Memories in Dragonflies, Simple Lessons for Mindful Dying, is officially out in the world! Ten years ago when my mom passed away, I wasn’t quite ready to process exactly how impactful the experience was on my life. But five years ago, I woke up one night and all the memories were rising to the surface, just asking to be written down. I never thought a book would come from one of the hardest times in my life. It’s been a journey in itself from the moment I bought a notebook at Warwick’s bookstore and wrote down my memories to this moment, holding the published book in my hands. My hope is for this book to be a little guiding light to those of you who have or will ever find themselves facing the loss of a loved one. That it will help spark a conversation about death and dying—not as a wholly negative experience, but as an opportunity to find the joy in the day to day struggles. Through taking care of my mom, I discovered that there is always joy to be found in hardship. I am so excited for you all to read it! One morning when I left the house, I was greeted by a street full of large trucks, heavy equipment, and San Diego Gas and Electric workers everywhere. They were busily working on telephone lines and—with not a lot of room on our narrow street—they were blocking my driveway entrance. His reaction made me realize he didn’t want to inconvenience me any more than I wanted to be inconvenienced. I made an effort to relax my shoulders and smile as I inquired about the situation. I thanked him and walked back to my car as they did so. I knew the work was necessary, but nevertheless still wasn’t thrilled about their presence. Over the next couple days, as I came and went, I watched the workers bustling about in their specific roles. They were all business trying to finish the job. For them, another ordinary day. There seemed to be no happiness in their mission. So one afternoon, I baked a batch of my favorite chocolate chip cookies and wrapped them in a bag that they could store on one of their trucks. I also made some iced tea and included a few paper cups and cute, colorful napkins with the cookie bag. As I approached with the snack, again one of them looked weary of my intentions. I smiled wide. "Hi", I said, “I thought you might enjoy a bite of homemade chocolate chip cookies and some iced tea." The other workers’ faces lit up one by one as they thanked me and accepted the treat. All the tension diffused into a feeling of camaraderie. In one simple gesture, they had transformed from workers on my street to a part of the neighborhood. Now, when I run across anyone working on the street, I try to at least wave, smile, and maybe stop to chat for a minute. It’s such a simple way to make an ordinary day more extraordinary! What are the top 5 life lessons you learned from your caretaker experience? Communicate openly and listen closely. Everyone is going to have a different opinion, so it’s important to understand other perspectives to ultimately come to the best decision for your parent. It’s okay to ask for help. Do not feel guilty if there are times and situations you cannot handle on your own. Accept the changes. There is no doubt as you move through this process the dynamics between you and those around you will begin to shift. Negative emotions are a normal part of this process. Acknowledge them and let them out so that you can let them go. Keep a sense of humor along the journey; there is always joy to be found in hardship. Do you have any tips for caring for a loved one? I would love to hear what you think in the comments below! It’s the first day of summer and that means good weather for entertaining! While I love spending time with family and friends over good food and drink, I used to find entertaining so stressful. The to-do’s seemed never-ending: preparing the food, setting up decorations, making sure there were enough utensils and cups … all of it turned such a joyous event into one I dreaded. What I found was that when I shopped ahead of time for all those items that can slip through the cracks—even when I didn’t yet have plans to entertain— suddenly the entire process became enjoyable! So instead of creating a last-minute to-do list for a specific occasion that sends me running around town and my house in a frenzy, I slowly collect all these essentials throughout the year. That way, when the opportunity to entertain comes around, I can revel in the broad strokes like cooking and decorating rather than worrying about how many napkins I need to buy. So as we enter this warm and sunny season, I want to share with you my three essentials to have on hand for easy entertaining. Usually you can find matching sets of cups, plates, bowls, and napkins, which makes the decorating and set up so simple! I designated a drawer in my kitchen for these paper goods that I find while I’m out and about. I get all different colors and patterns so I can mix and match depending on the occasion. And instead of buying specific holiday themes, I buy colors that correlate to those holidays. For instance, I might buy red and white striped cups for Christmas, but they can also be saved for Fourth of July, or even Valentine’s Day. I love to keep a fresh stock of cloth napkins for a fancier touch to my entertaining. What’s great about shopping for them throughout the year is that you can wait for sales. I usually keep in mind a color scheme or theme I might need in the future and shop accordingly. And since you can, of course, reuse them, once you have specific theme or color, you’re set for that specific holiday or season! It may seem silly, but salt and pepper shakers are my favorite collectable items! Of all the seasonings, salt and pepper are what people want for a little extra flavor once the food is on the table. So themed shakers can create a festive centerpiece that’s also practical. This is the one decoration that I do search for specific holidays and themes. Since they’re so small, they’re easily stored in a drawer or box. And even when you aren’t entertaining, they can sit on the kitchen counter for a little extra flare. These three essentials are sure to ease the stress of entertaining so you can spend more time simply enjoying your company and the occasion! 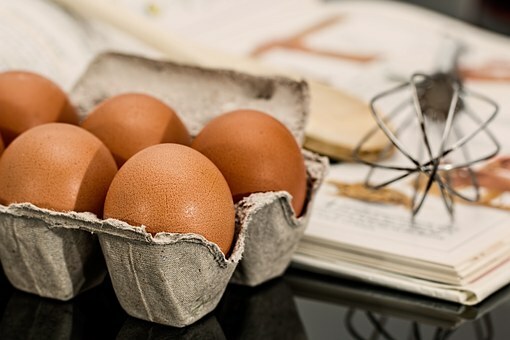 Do you have other tips for easy entertaining? I’d love to hear them in the comments below! On this National Firefighters Day, I want to give a big thank you to our firefighters, paramedics, and ambulance drivers. For all the times they appear when we least expect it and yet need them most. When my girls were about six and eight, they came to my rescue. It was the week before Halloween and we had just left the barn behind my dad’s animal hospital where the girls spent the sunny morning horseback riding. The day was warm and breezy, and the girls fidgeted in anticipation of the special stop we were about to make on the way home—to their favorite pumpkin patch for our yearly pumpkins that would end up carved for Halloween night. To save time, I drove us through the closest fast food restaurant so we could eat lunch in the car on the way. Little did I know how that decision would change the course of the whole day. The girls were in the back seats, with their seat belts on, enjoying their carefully chosen hamburgers. I juggled a rice bowl in my lap, taking bites at each stop light. Suddenly I noticed I was having difficultly swallowing. I drank some water and thought nothing of it. The light turned green and slowly I inched my way up the slight hill. The next thing I knew, I heard screaming. I thought the girls were arguing, until I looked up to find a tree branch pierced through the windshield, just a couple inches from my face. I turned around to see the girls were crying, their hamburgers overturned on the floor below them. What I found out later from the woman in the car behind me me was that my car veered across the center lane divider, nearly hitting an oncoming car head on before rolling down a hill and hitting a tree. I couldn’t believe it: I had passed out at the wheel. Neighbors in the area and passengers of the cars who had been around us came to help. They called 911 and this is when I met our first responders. They arrived and assessed me and my girls. Since they were wearing their seat belts, the girls were okay. My parents arrived and I was taken to a local hospital where they determined I had an allergic reaction to my meal. Swallowing the rice had stimulated my vagus nerve, causing me to black out. One little bite of rice had caused all of that! I thought of how much worse things could have been, and how well taken care of I was in that ambulance on the way to the hospital. When all was back to normal, I found out which fire house came to help; I wanted to thank them for being there for me and my girls. I put together a to-go party meal that they could enjoy: a bag of color-coordinated paper goods and decorations with a basket full of homemade food, set up so they could enjoy the meal at their leisure and not rush in between calls. I hoped the gesture would show them how much they were appreciated, not just by me and my family, but by every person they had ever helped and would ever help again. A simple joy in their oftentimes hard workday, a simple joy for me to give. Children always need to be entertained and, in our technology-saturated lives, that entertainment often comes in the form of bright screens. While there are wonderful TV shows and films for children that help them learn and grow, there’s nothing like giving them a good book and watching their imagination unfold as you read together. So during National Children's Book Week, I always welcome the yearly reminder to slow down and read. It’s a simple joy in itself to gift a child a book, but that much better to share the experience with them. That’s why I love a particular story book experience called: And Then... Story Starters by M.H. Clark. Instead of a bound book, it is a stack of large cards, each one with a beautiful illustration and the beginning of a story. These story starters leave it up to the readers to finish the story. Not only does it encourage the young reader to use their imagination, but it becomes a shared experience and memory for friends or family who participate. It also means that no one will get sick of the story because it can be different every single time you pick it up! You can even make the whole set into a game, with the whole family choosing a card and adding to each other’s stories. Or even adapt the stories into a theatrical living room play by making back drops and costumes to express it. The possibilities for creativity and simple joys are endless! A lovely companion gift to Story Starters would be my all-time favorite children’s book, Harold and The Purple Crayon, where Harold creates his own world. I’d love to hear in the comments below what your favorite children’s book is! Today is National Poem in Your Pocket Day and I love the idea of this simple gesture! Not only is it a fun way to celebrate one of the most beautiful forms of expression, poetry, but it also serves as a connection to those around you as you move about your day. Poems are such a diverse art form, some just a couple sentences or a few words, and others pages long. But what’s so special about poetry is how succinctly its words can conveys emotions. Each author adds their own twist to universal ideas that connect us. So even if you do not want to write your own poem today, select your favorite one. Write it down or take a copy of it, put it in your pocket or bag, and share it with whoever may cross your path. Let the words connect you as you pause to enjoy the story they tell. A simple gesture, a simple joy. You can write a poem about any of your dreams. Don't be afraid to expose who you are. Let people in instead of keeping them a far. Cleansing you like a bath. Or, if you wish, in a locket. Do you have a favorite poem you'll carry? Leave a comment with it below! Writing is a sacred practice. It is a way to make our thoughts and ideas permanent and sharable for generations to come. It is a way to communicate imagination and reality, whether in a journaling form or a storytelling fashion. It's National Encourage a Young Writer Day, and I take "young" to mean not just children and teens, but people of all ages who are new to the craft. I love to encourage family and friends, no matter their age, to write. The next time I know I’m going to see that person, I bring them a little gift: a spiral notebook and erasable pen. It encourages them to write down their ideas with no pressure because it can always be erased, but won’t smudge and fade like pencil lead does. What’s more, it creates a new part of my relationship with them. So on this day of encouraging young writers, I also want to encourage people of all ages to begin writing. Write and bring your ideas and stories to life, short or long, and share them with all! As a kid, wearing green on St. Patrick’s day seems as important as turning in an assignment on time, if not more important for fear of being pinched at any given moment. Yet as an adult, wearing green holds less stakes. It’s more a way to be festive than a tactic to outrun pinch-happy peers. My mom always loved to celebrate holidays. In her last year of life, as her illness progressed, she was especially adamant about being involved in as many celebrations and events as she could. This particular St. Patrick’s day, her friends were throwing a party. My dad agreed they could stop by for a few minutes, for as long as she felt good. To be in the spirit of the holiday, she wanted a green shirt to wear, but did not have one in her closet. At the time there was no online shopping, so we took a ride to a nearby strip mall that had a large department store. Walking took Mom a lot of energy so I parked in a handicap parking spot and ran in while she waited in the car. I never thought finding a green shirt would be so important to me, but as I walked into the store’s large entrance doors and began looking for the women's clothing section, I prayed for any speck of green. I weaved in and out of racks and aisles, my chest tightening as the minutes passed. I thought of Mom waiting in the car, restless and tired. Finally, way in the back of the store, I found a few green shirts. Suddenly I realized I didn’t know what size to choose, since Mom had been steadily losing weight. I grabbed three different sizes and styles and zoomed through the checkout counter. Mom’s face lit up when I settled back into the car. The choices made her feel like she’d gone shopping herself and helped her feel in control of her life. Sometimes I think back of that day and giggle at how silly I must have looked, scanning those aisles with a look of panic—all for a green shirt! But even simple traditions can carry an abundance of meaning, bringing cherished memories and joy to you and your loved ones! Campbell's Soup cans were a staple in my family’s pantry growing up. While my mom usually cooked homemade meals, these soup cans were always there for her when she was in a pinch. If someone in the family didn't feel well or it was too cold to leave the house, those cans in the pantry came alive. Soup for me became a creature comfort and, when I started my own family, I decided to carry on the tradition—but with homemade soup instead of canned. I always keep my pantry, refrigerator, or freezer filled with necessary soup ingredients. One of my favorite tricks is to freeze vegetables that have become overripe for future use in a soup. And even after I’ve made a soup, I’ll put it in jars or storage containers in the freezer. These soups have always come into play at unexpected times. On a boating trip with friends, I brought a container of my frozen chicken soup on a whim. When a friend of ours on the trip became ill with a virus, unable to hold down any food, my soup settled her stomach. By the next morning, she was feeling better and my soup continued to help her for the next few days. A few months later, another friend called out of the blue, sick and home alone, wondering if I had any soup. I had just made some split pea soup, so I brought it over to her and she liked it just as much as the chicken! Here are some of my favorite soup recipes. I hope they bring warmth and nurturing into your lives! Fill a large pot with filtered or bottled water. Cover all vegetables with water by one inch. Cover and boil, then simmer. Add salt to taste. Mix occasionally. Take top off pot and simmer to desired doneness and thickness. This soup can be used as a base broth for other soups or I personally love to serve it with some cheese or hot sauce sprinkled on top. Put in a large pot. Cover with filtered water. Boil over stove top, then simmer. Stir and crush potato as it thickens. Salt and pepper to taste. Leave as chunky or mash as much as you like. I add in butter and milk to taste. If the mixture is thick, add more water and continue to simmer. Serve or freeze in container. If you reheat, you may want to add more water or milk to thin it. I love to treat the potato soup like a baked potato and top with sour cream, chives, cheese, bacon. Place bag of frozen peas (about two cups) in a bowl. Pour warm water over peas, swish them around. Water will become murky. Drain peas into strainer and pick out any dark or white peas. Pour strained peas into a large pot. Add six to eight cups of filtered water. Heat to boil and then simmer. Add cut-up precooked one-inch cubes of ham (optional, but I use this as my salt flavor). If you do not use ham, salt to taste. You can add in slices of celery, chopped garlic, sliced carrots, and/or potatoes in small cubes for texture. Simmer for a few hours, stirring occasionally and tasting occasionally to check for soft texture of peas. When they’re soft, they’re done. I smash half the peas, so the soup mixture is part blended, part whole peas. Four to five large stalks of broccoli, cut up into pieces, with stems removed. Place broccoli into large pot, fill with filtered water one inch above top of broccoli. Heat to boil, then simmer. Salt to taste. When broccoli softens, mash or blend. Add cup or so of milk if you would like soup to have a creamier taste or more water depending on the texture you prefer. I love to add a tad of cheese on the top of each bowl when served. This same recipe technique can be used for cauliflower. Time and time again, these soups have brought me and my loved ones comfort and are one of my very favorite simple joys! My general rule is that if you don’t use something for six months to a year, you don't need it. (Holiday decorations excluded, of course!) Nowadays there are so many places to donate unwanted items where they will be given to people in need. Another great way to remove clutter is to get rid of or donate something old when you get something new. This is especially helpful to make room for new clothes, new books, or even new household items that make old ones obsolete. 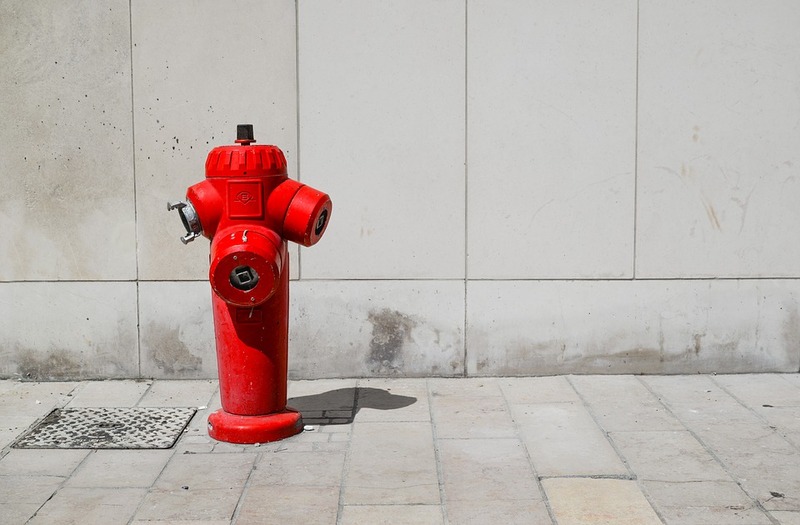 With these two strategies, you will always know what you have and what you need, and your home won’t feel too crowded with extra junk. I always get compliments on how “clean” my home looks, simply because it’s clutter-free! Once you’ve removed the extra clutter, it’s time to organize. Those items you no longer need will go into three piles: donate, trash, and storage. For storage, you will need a box or bin to place the items in. Label it and then this can go in a closet, the garage, or under your bed. My home memory boxes are plastic bins labeled with a black marker. My daughters have one for birth through middle school, high school through college, and after college. All their special items are there for them to look back on and cherish. I also have bins for family photographs and heirlooms. We keep most of these bins in the garage, but special items go in the closet. For items you need to access daily, you can get drawer and closet organizers, shelves, and bins, depending on the size of your space. You can even use old laptop boxes or shoe boxes to organize within drawers. Once your home is clutter-free and organized, it will be a lot easier to actually get work done! Creating a schedule will help keep your household running as efficiently as possible. I keep a schedule for chores like laundry, changing bed sheets, grocery shopping, and even cooking meals. Each chore has a designated day or time. This schedule makes it so much easier to navigate my week—I don’t have to worry about those chores on the days they aren’t designated, which leaves me time for all of my other endeavors, be them work or social. And remember, these steps are not necessarily a one-time deal. I do them whenever life starts to feel more hectic or when my family begins to accumulate more items than usual. It’s a constant cycle, but one that leaves more time to enjoy the simple joys of life!